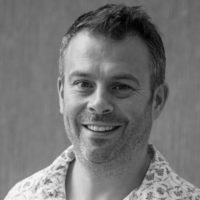 With over 15 years' experience in B2B conferencing with Guardian News and Media, IQPC and now Bench Events his main responsibilities have been to business develop and manage sales across the portfolio of events. In 2012 he successfully founded and launched the African Hotel Investment Forum (AHIF) and in 2013 he launched the Morocco Tourism Investment Forum (MTIF) - an invitation only event for the industry. For 2015 he was instrumental in launching the Mediterranean Resort & Hotel Real Estate Forum (MR&H) the newest of the products in the portfolio. Named as the Director of the African Chapter of Destination Develop, a full service marketing platform for our investment customers, he continues to strive to provide the best services that will deliver the high standards our customers expect.